Can you believe it? 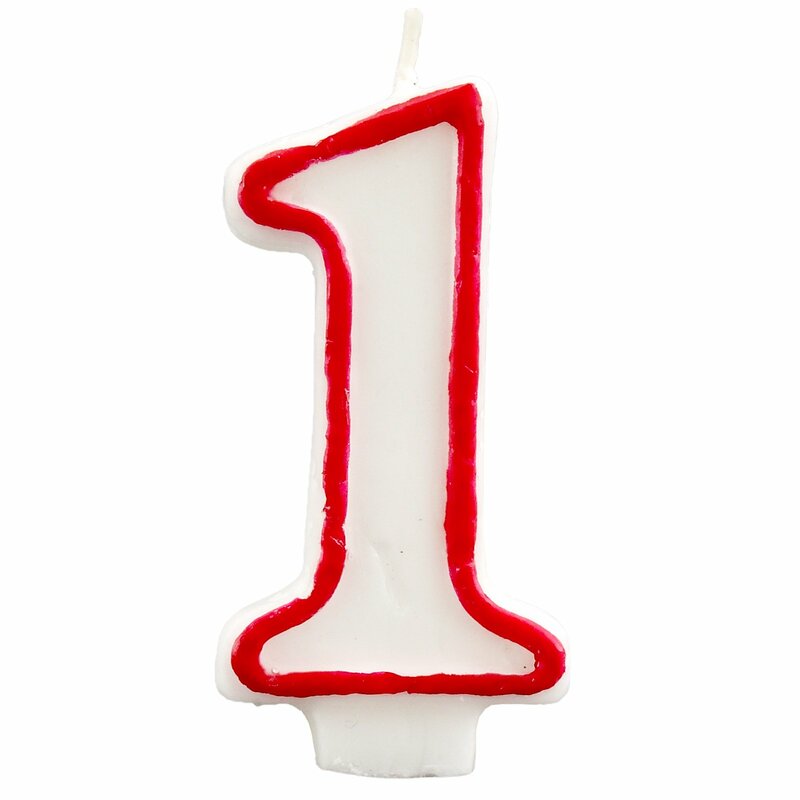 Britrish.com is officially 1 today! And what an amazing year it has been! I’ve written 270 posts (there’s been a new blog post every weekday, give or take the odd duvet day here and there!) and have had so much fun in the process. A big thank you to YOU for following the blog, for reading and commenting and making this a conversation! Also a big thank you to my family for their endless support, blog post ideas and frequent fodder for the blog. Check out the blog’s very first post! And a moment for a shameless plug: Join the conversation on Twitter and follow me at @britrishcom. Cheers for the past year and here’s to many happy returns! The day is finally here! 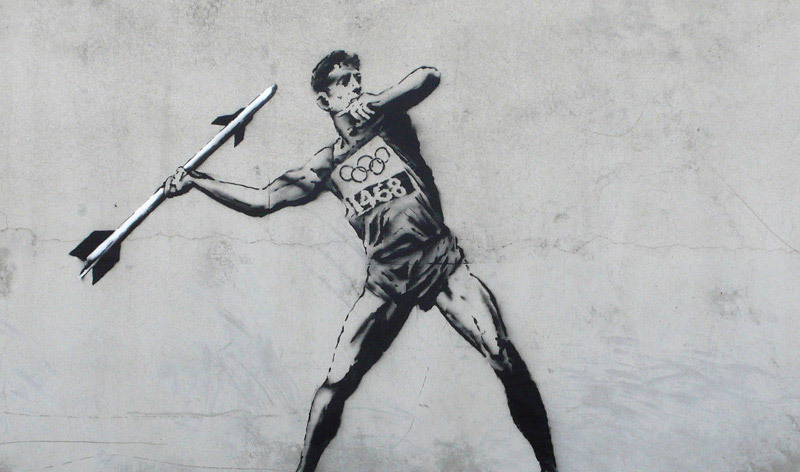 I’m so looking forward to the opening ceremony of the Olympics today. I’ve heard one insider describe it as “very British” and I can’t wait to see what they do. What we do know: there will be sheep and a host of other farm animals, plows and maypoles, a dance featuring nurses, a song by Paul McCartney and something involving Daniel Craig as James Bond. Is this not going to be the greatest thing the world has ever seen? 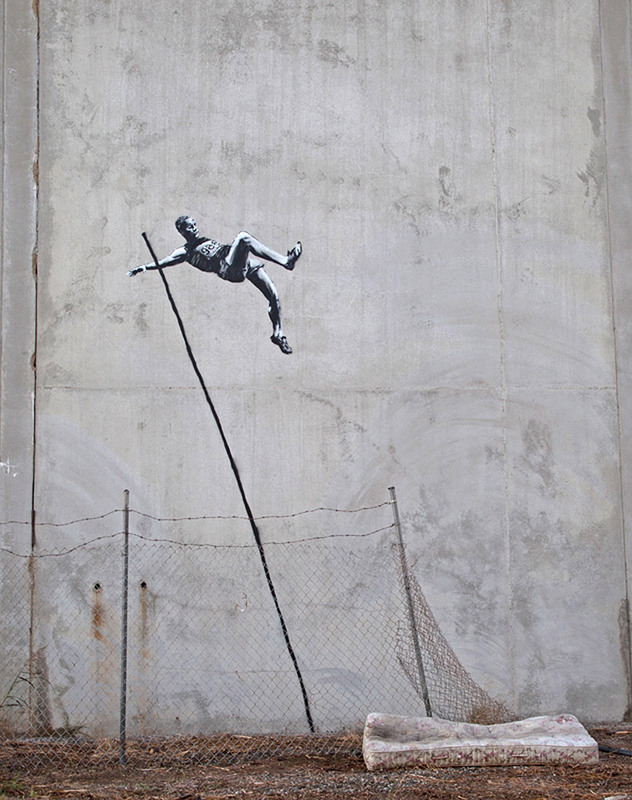 And with all the buzz about the Olympics, I thought I’d roundup some of my favorite links and share – enjoy and have a wonderful weekend! A watercolor map of London. A soundtrack to rock the games. A London double-decker bus does push-ups. 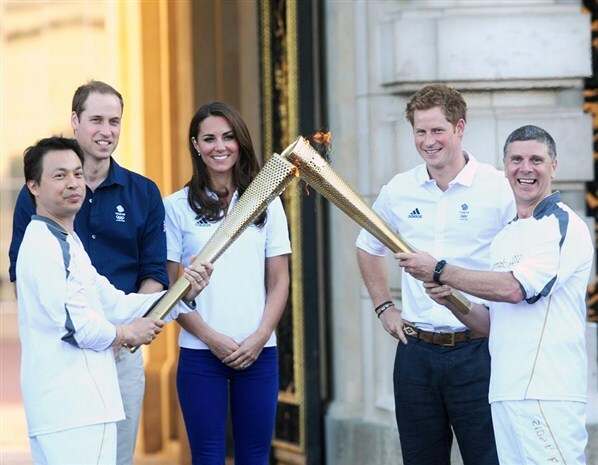 Ab Fab’s Eddie and Patsy carry the Olympic torch. Don’t take the Olympic name in vein. Beer from the 1908 London Olympic games, anyone? The 2012 Olympics drinking game, but please drink responsibly. British food for an Olympics party. With the start of the London Olympics this week, you can bet the city and its airports are swelling with tourists and new visitors coming from all over the globe. Wouldn’t you love to be greeted at an airport with a song? I know I would! Thanks to TheFoxisBlack.com for posting about it. 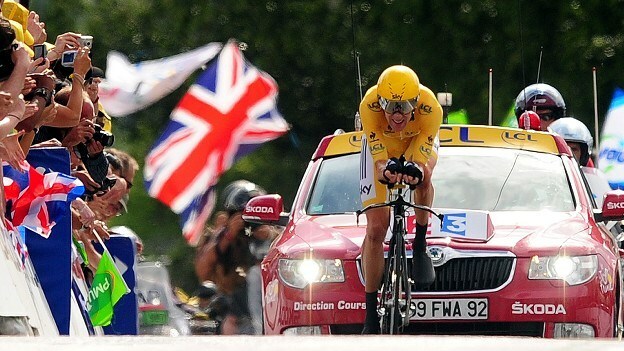 32-year-old Bradley Wiggans, of North London, is the first Briton to win the Tour de France. Whoo hoo! Congrats to Bradley Wiggans, for winning this year’s Tour de France – and being the first Briton ever to do so! It’s a historic achievement and I can only imagine the exuberance and pride that must be filing the U.K. this week. Epic! Well done, Bradley Wiggans. You’ve made Great Britain very proud! A new study reports that Britain is among one of the most inactive populations on the planet, with 63.3 percent of the population failing to meet recommended levels of physical activity. 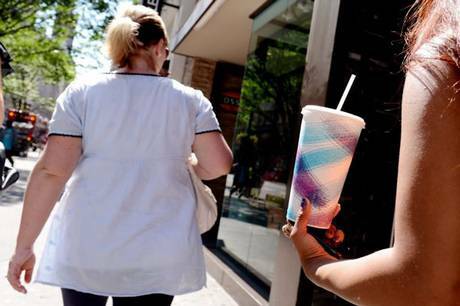 That beats America, which comes in at 40.5 percent, despite the fact that 30 percent of Americans are obese. I find this study surprising. I was the most fit that I have ever been while living in the U.K. I used public transport and walked a lot – more than I ever have in the U.S. There is such a thing as being “London fit,” which comes not from mindlessly slaving away at the gym, but from bolting up stairs, catching the Tube, running for buses and walking with all of your gear, just to get where you need to go. I actually kind of miss that purposeful exercise, of inadvertently getting in shape while going about your day. It makes using the treadmill look a little bit silly. A few months ago, we spent a long weekend in West Hollywood and I had the chance to meet up with a British friend of mine who recently made the big move stateside. Where did we meet? 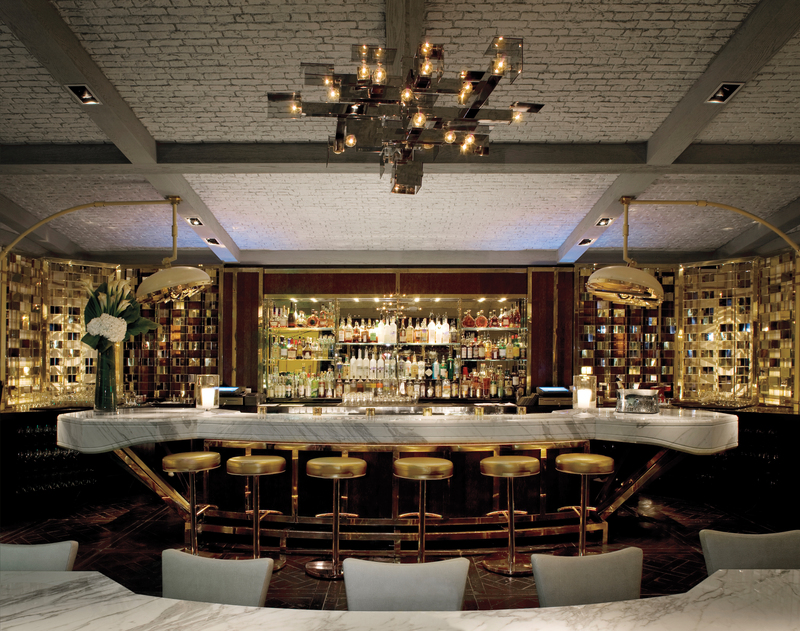 She suggested the London Hotel in West Hollywood and picked me up in her sweet little Mini Cooper for what I imagined would be a quiet drink in some tatty, themed hotel bar. I should clarify – she is a class act, but anything with the moniker of the London Hotel would have to be a little Sweeney Toddish? Am I right? Well, actually no. 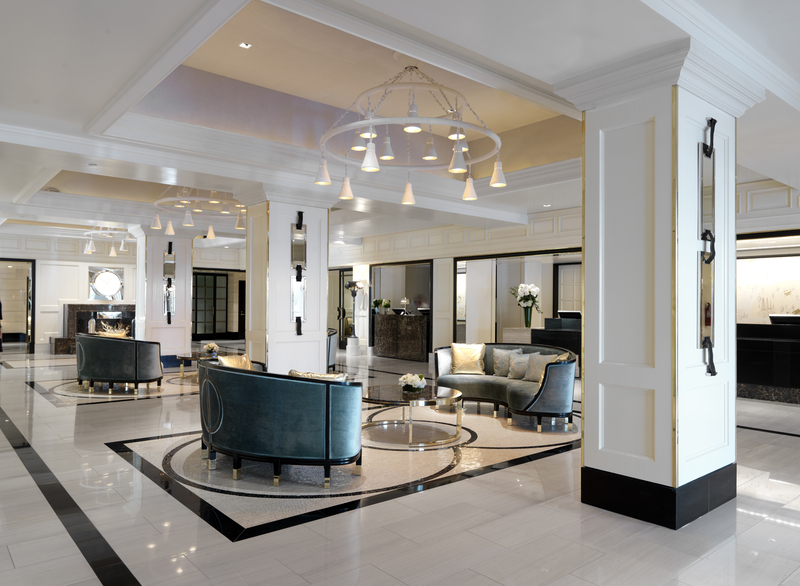 This is the London Hotel. After a brief walk through the lobby, I realized how very wrong I was. I was actually the closest thing to Sweeney Todd in the room. The hotel was immaculate, stylish, luxurious but not stuffy. We took a seat at the hotel bar (AKA The London Bar by Gordon Ramsey) and perused their delicious looking cocktail and wine menu. I ordered the English Rose ($15), made with Absolut Vanilla vodka, Absolut Apeach vodka, fresh lemon juice and white peach puree. It was a very fruitful and lovely take on the Bellini. She ordered a glass of Napa red wine (I can’t even recall what it was… something from Rutherford, I believe) and we had a nice chat in this refined setting, which was an utterly delightful way to spend a rainy Sunday afternoon, catching up with an old friend. 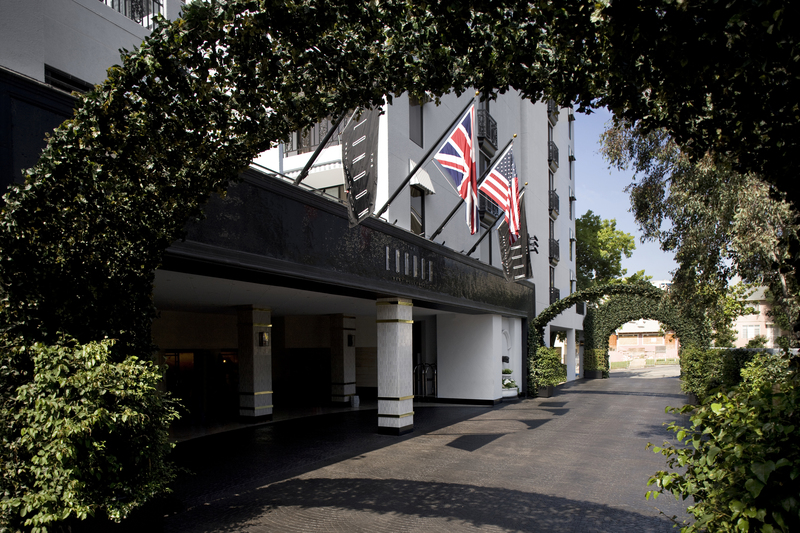 And if you’re ever visiting in West Hollywood and looking for a place to indulge, London Hotel has some unique amenities for the anglophile including free calls to London and a complimentary breakfast spread of fresh fruit, pastries, farmhouse cheeses and charcuterie from Boxwood Cafe by Gordon Ramsey. (The cafe also serves a traditional English breakfast if you fancy something more traditional). All-suite rooms currently start at $249/night. French toast, to me, is a sweet affair. Maple syrup and powdered sugar are my go-to toppings. Not ketchup. But Brits like their French toast savory, often topping theirs with Marmite, ketchup or brown sauce. I remember the first time one of my flatmates in Scotland made a traditional breakfast and included French toast, but this was a really simplified, stripped down version. No syrup, no powdered sugar. Just this white bread, dipped in egg with salt and pepper, and fried to a crisp golden brown and served with ketchup. I could barely mentally compute the concept, and then after trying it, I was pleasantly surprised. 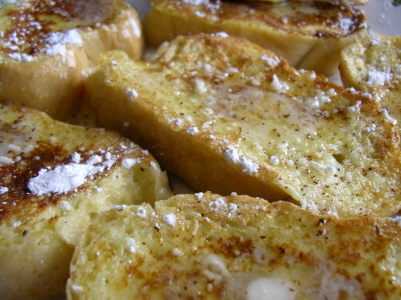 Do you prefer your French toast savory or sweet?